If the ground is not prepared properly, it’s not easy to get things to grow the way you want them to. You will need to understand the quality of the soil you have to work with and how to make it beneficial to the kinds of plants that you want to grow. Whether you want trees all over the property, a flat expanse of lawn, or large groups of decorative flowers, there are steps you can take to make sure that the soil is properly prepared. Are There Leftover Plants from Last Year? For some people, the remnants of last year’s annuals and other plants that did not survive the winter could be littering their flower beds. If that’s the case, you’ll want to make sure that these dead and dying plants are cleared out before starting on any new project. Also, make sure that you pull out the weeds in and around the area that you wish to plant in. Many people do their own landscaping, but hiring a professional landscaper is generally the best way to go. This will allow you to sit back and enjoy springtime, and it will also ensure that everything is done correctly. The landscaper can also get the work done faster and will have the necessary equipment to move heavier objects and transport plants without damaging them. A landscaper will ensure that you get the landscape that you envision, and that you can enjoy it sooner. They will also be able to tell you how to maintain your yard or garden. Developing a long-term relationship with a landscaper is one of the best things you can do to keep your yard looking great. They’ll help you maintain your plants, keep trees from getting unruly, and help you change your landscaping if you so desire. 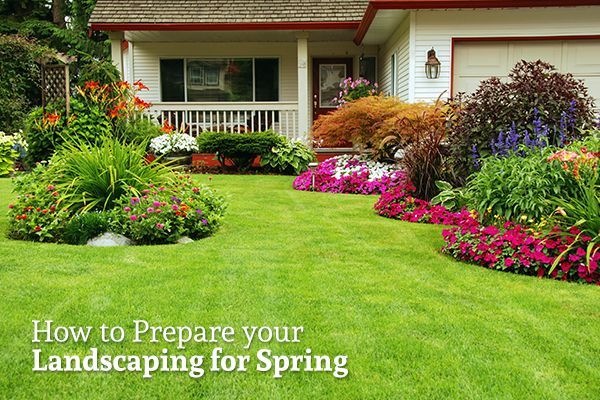 From weekly pruning to a complete redo of the flowers for springtime, a trusted landscaper will always be there to assist you. If you’re looking for a Fort Worth landscaper that you can trust, contact Landscape By Design today.